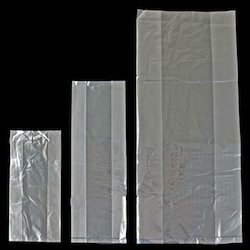 We are engaged in providing an elite collection of Gusseted Poly Bag. Our provided range is made by professionals who employ the finest quality material and advanced techniques. These products are available in diverse patterns that meet on patron’s demand. Further, this product can be customized as per the exact necessities of our patrons.